From U.S. Hwy. 84, turn onto GA Hwy. 93 South (also called 5th ST NE) Proceed through Cairo. 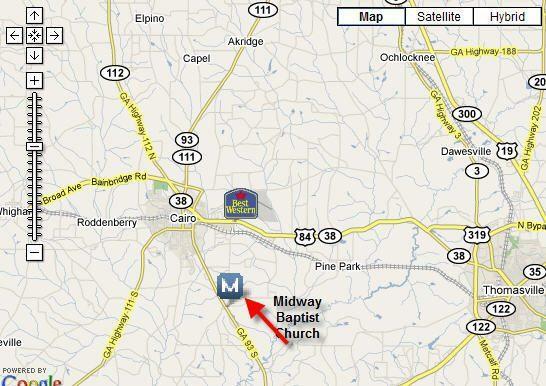 Midway is on the left of GA. 93 approximately 3 miles past Grady General Hosp.